Fire and blood. Of all the noble houses in Westeros, House Targaryen may have originally been one of the most powerful. Hailing from Valyria and having escaped its Doom, House Targaryen first came to Westeros and later conquered its lands to forge the Seven Kingdoms. 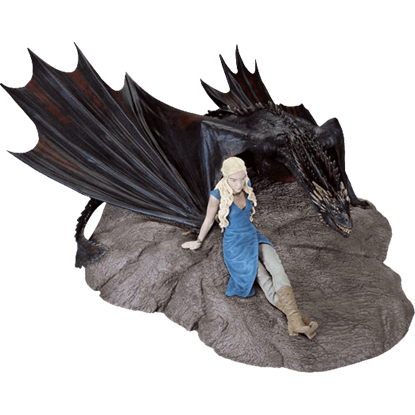 And now, you can show your support by browsing our Shop for House Targaryen section! Known also as Dragonmasters, the Targaryens conquered the kingdom through the might of their dragons. Targaryen lineage was prone to madness, though, and an eventual rebellion spelled the end for their rule and most of their family line. Even now, only a few Targaryens remain, and one Daenerys, seeks to return to Westeros, to rule her familys ancestral holdings. And more impressive, she is mother to three dragons, which can no doubt aid her greatly in her task. 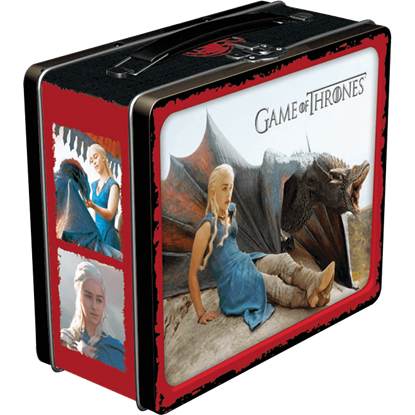 We offer a number if accents, all of which feature the Targaryen standard - a great three-headed red dragon. 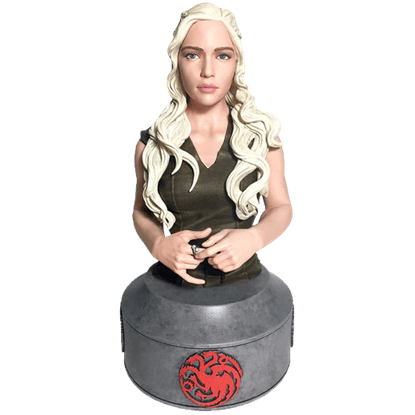 pint glasses, shot glasses, coasters, statues, and more all make for great pieces of home decor, while a good Targaryen t-shirt makes for fantastic casual wear. The blood of the dragons is a rare thing, but thanks to this Shop for House Targaryen section, items connected to House Targaryen are not nearly so uncommon! 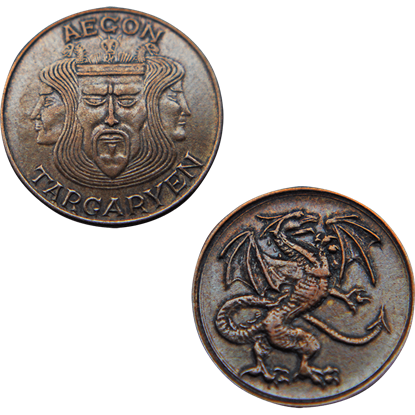 Believed to be from shortly after his coronation, the Aegon I Targaryen Copper Penny displays Aegon with his sister-wives on the obverse side. This conquering king forced many to bow to him, showing no mercy to resisters. Having made a daring rescue of the venturing party beyond the wall, Daenerys Targaryen has proven herself to be a loyal ally to Jon Snow and the North. 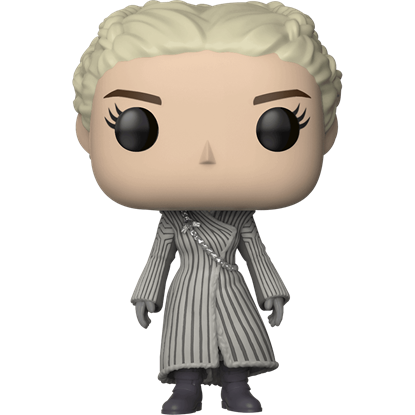 The Beyond the Wall Daenerys Targaryen POP Figure depicts her warmly dressed. 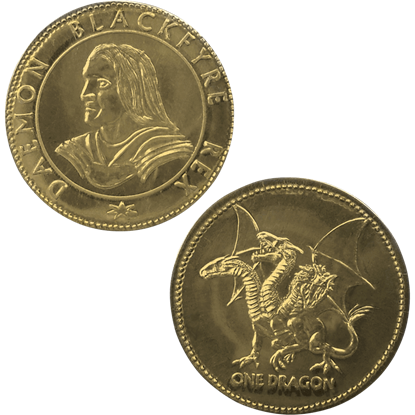 In Westeros, the dragon is the most valuable coin you can acquire. Now, you can add an old one to your collection. This Daemon Blackfyre Golden Dragon carries the name and the likeness of the Targaryen who started the Blackfyre Rebellion! Return to the fantasy borders of Westeros and Essos. Become lost in the lore of the Seven Kingdoms. Show fidelity to the House of Targaryen. 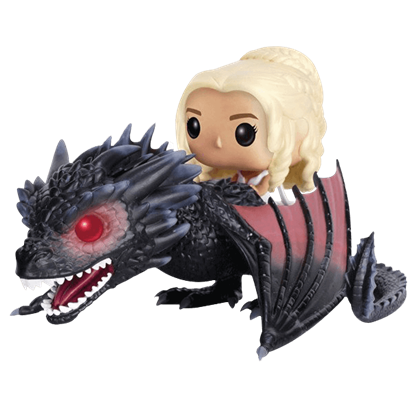 The Daenerys and Drogon POP Figure depicts Daenerys Targaryen with fire-breathing steed. 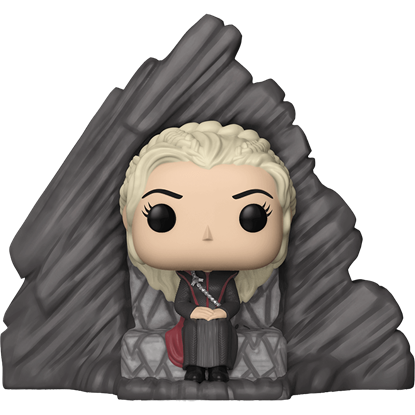 Taking her rightful place on the throne of Dragonstone, the island where she was born, Daenerys Targaryen strikes a regal image in the Daenerys Targaryen on Dragonstone Throne Deluxe POP Figure. Time to add a queen to your collection! When Daenerys Targaryen conquered the city of Meereen, her first act was to abolish slavery. Shortly after, she minted coins to replace slaves as the local currency. 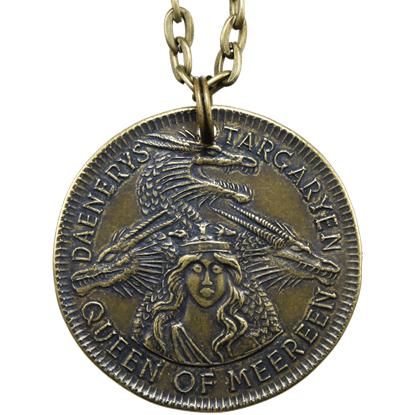 The Daenerys Targaryen Meereen Coin Necklace commemorates her victory. 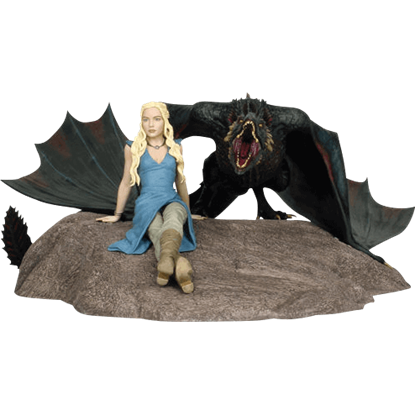 Celebrate the Mother of Dragons from the HBO series, Game of Thrones, with the Daenerys Targaryen Rock Candy Figure. 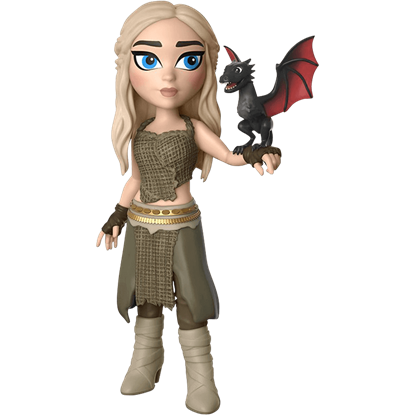 With one of her children perched on her arm, this adorable vinyl figure depicts the queen as she appears in season 1.